Venice Italy How to do Instructions for Seasteading from History. Born from "economic crisis" the "political turmoil" asociated with the collaps of the Roman Empire, and land dominated by the HUNS taking assets at will from everybody (beware IRS) - Venice called "the floating city" oriented to political autonomy, direct democracy, interference freedom and sea trade, prospered for centuries - its history is a "how to do instruction" for seasteading. It grew so strong that not even the most powerful ruler Europe ever saw (Charlemagne) could subdue it and failed in the intent. It's power was drawn from the de facto status of being the sea trade center of Europe with the rest of the world. (speak Byzantine and Islamic world in that time). Part of its magnificence and wealth was derivated from being a successful "major power-broker" for centuries but staying out of being "war territorry" itself due to its easy defendable "swamp position". By the late 13th century, Venice was the most prosperous city in all of Europe. It had 36,000 sailors operating 3,300 ships, dominating Mediterranean commerce. The state of Venice was notable for its freedom from religious fanaticism, and retirement of leaders in case of political failure. Venice was quick to adopt inventions like the German printing press and embraced the new ideas and freedom of thoughts generated by books and their distribution. It finally declined in the 15. Century when Portugal became dominating European sea power - and the black death devastated Venice in 1348 and once again between 1575 and 1577 - a negative side effect of being a port city trade hub cluster on international trade routes. Until today the Venice business model is sea oriented and successfully keeping an outstanding position under all cities in Europe. It still is perhaps the most elegant and refined city in Europe, greatly influencing art, architecture and literature. Venice hosted artist and revolutionary thinkers from Leonardo Da Vinci to Enlightenment. 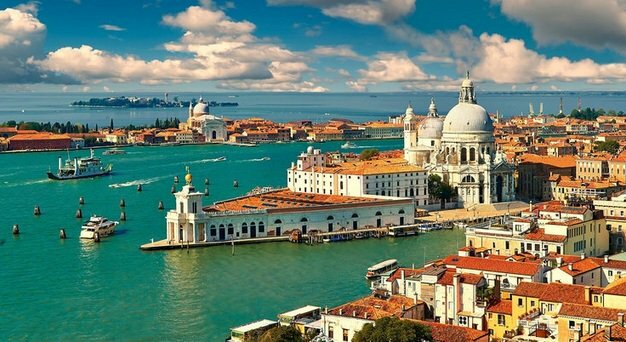 Venice is also the city that invented BANKING the word comes from a series wooden banks on the marketplace of Venice where specialized merchants gave money interchange services to other merchants running the ships and merchandise . 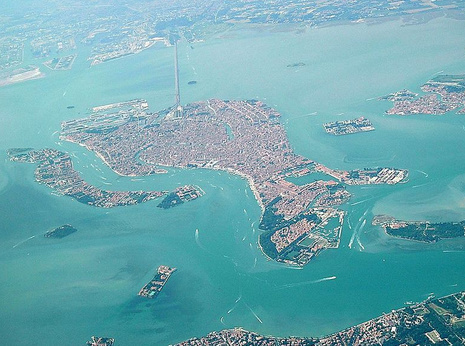 Venice was the first city state in history making a living without agriculture resources. What this picture shows very clearly is that Venice is not a single structure, but a cluster of housing units, wharfs, ports, and mobile units, boats, ships. Although Venice allways was stationary it had a 3600 ship merchant fleet that dominated mediterranian trade for centuries. It has "oceanic mobility by proxi" if you want to see it from that angle. Far from being a "raft of disconnected pioneers out in nowhere on the ocean" it is EXTREMLY connected with every trade hub in the mediterranian world, over its merchant fleet and it even is "extremly well connected to land" over a railway connection. 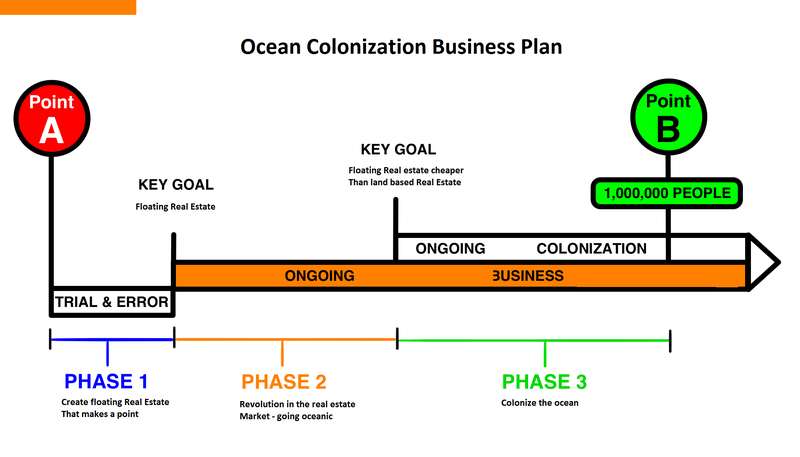 So what makes or breaks a seasteading venture is commerce, connections, and power brokering. Not self sufficiency, not fishing, not agriculture. Beside oceanic trade, banking, and free spirited advanced ideas, in art and science, Venice was also famous for a local manufacturing product called murano glass. Computer chips might be a modern world equivalent, murano glass was hard to create, its production was a well guarded secret, and it was needed, desired, and valued trough out the mediterranian world. Venice also had assembly lines for ships centuries before "Henry Ford invented the assembly line". 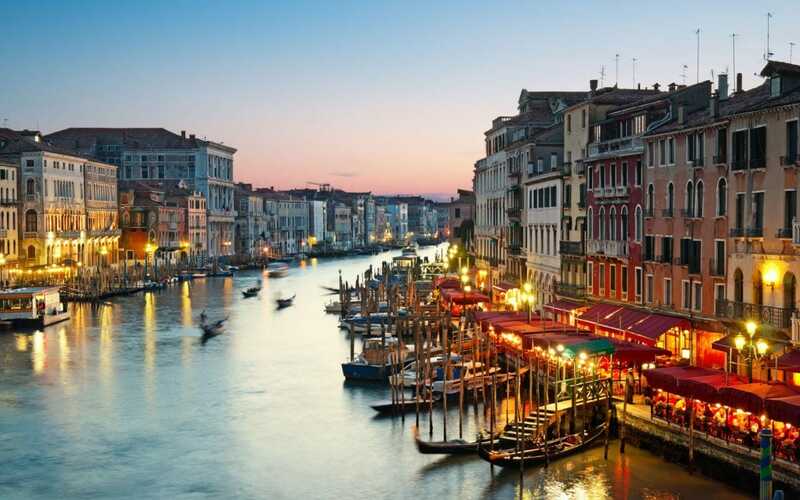 Venice is the capital of the Veneto region. In 2009, there were 270,098 people residing in Venice's comune (the population estimate of 272,000 inhabitants includes the population of the whole Comune of Venezia; around 60,000 in the historic city of Venice (Centro storico); 176,000 in Terraferma (the Mainland), mostly in the large frazioni of Mestre and Marghera; 31,000 live on other islands in the lagoon). Together with Padua and Treviso, the city is included in the Padua-Treviso-Venice Metropolitan Area (PATREVE), with a total population of 1,600,000. PATREVE is only a statistical metropolitan area without any degree of autonomy. Although there are no historical records that deal directly with the founding of Venice, tradition and the available evidence have led several historians to agree that the original population of Venice consisted of refugees from Roman cities near Venice such as Padua, Aquileia, Treviso, Altino and Concordia (modern Portogruaro) and from the undefended countryside, who were fleeing successive waves of Germanic and Hun invasions. Some late Roman sources reveal the existence of fishermen on the islands in the original marshy lagoons. They were referred to as incolae lacunae ("lagoon dwellers"). The traditional founding is identified with the dedication of the first church, that of San Giacomo at the islet of Rialto (Rivoalto, "High Shore"), which is said to have been at the stroke of noon on 25 March 421. Beginning in 166-168, the Quadi and Marcomanni destroyed the main center in the area, the current Oderzo. The Roman defences were again overthrown in the early 5th century by the Visigoths and, some 50 years later, by the Huns led by Attila. The last and most enduring immigration into the north of the Italian peninsula was that of the Lombards in 568, leaving the Eastern Roman Empire a small strip of coast in the current Veneto, including Venice. The Roman/Byzantine territory was organized as the Exarchate of Ravenna, administered from that ancient port and overseen by a viceroy (the Exarch) appointed by the Emperor in Constantinople, but Ravenna and Venice were connected only by sea routes and with the Venetians' isolated position came increasing autonomy. New ports were built, including those at Malamocco and Torcello in the Venetian lagoon. The tribuni maiores, the earliest central standing governing committee of the islands in the Lagoon, dated from c. 568. In 751, the Lombard King Aistulf conquered most of the Exarchate of Ravenna, leaving Venice a lonely and increasingly autonomous Byzantine outpost. During this period, the seat of the local Byzantine governor (the "duke/dux", later "doge"), was situated in Malamocco. Settlement on the islands in the lagoon probably increased in correspondence with the Lombard conquest of other Byzantine territories as refugees sought asylum in the lagoon city. In 775/776, the episcopal seat of Olivolo (Helipolis) was created. During the reign of duke Agnello Particiaco (811–827), the ducal seat was moved from Malamocco to the highly protected Rialto, the current location of Venice. The monastery of St. Zachary and the first ducal palace and basilica of St. Mark, as well as a walled defense (civitatis murus) between Olivolo and Rialto, were subsequently built here. Winged lions, which may be seen throughout Venice, are a symbol for St. Mark. Charlemagne sought to subdue the city to his own rule. He ordered the Pope to expel the Venetians from the Pentapolis along the Adriatic coast, and Charlemagne's own son Pepin of Italy, king of the Lombards under the authority of his father, embarked on a siege of Venice itself. This, however, proved a costly failure. The siege lasted six months, with Pepin's army ravaged by the diseases of the local swamps and eventually forced to withdraw. A few months later, Pepin himself died, apparently as a result of a disease contracted there. In the aftermath, an agreement between Charlemagne and Nicephorus in 814 recognized Venice as Byzantine territory and granted the city trading rights along the Adriatic coast. From the 9th to the 12th century, Venice developed into a city state (an Italian thalassocracy or Repubblica Marinara, the other three being Genoa, Pisa, and Amalfi). Its strategic position at the head of the Adriatic made Venetian naval and commercial power almost invulnerable. With the elimination of pirates along the Dalmatian coast, the city became a flourishing trade center between Western Europe and the rest of the world (especially the Byzantine Empire and the Islamic world). Venice remained closely associated with Constantinople, being twice granted trading privileges in the Eastern Roman Empire, through the so-called Golden Bulls or 'chrysobulls' in return for aiding the Eastern Empire to resist Norman and Turkish incursions. In the first chrysobull, Venice acknowledged its homage to the Empire but not in the second, reflecting the decline of Byzantium and the rise of Venice's power. Venice became an imperial power following the Fourth Crusade, which, having veered off course, culminated in 1204 by capturing and sacking Constantinople and establishing the Latin Empire. As a result of this conquest, considerable Byzantine plunder was brought back to Venice. This plunder included the gilt bronze horses from the Hippodrome of Constantinople, which were originally placed above the entrance to St Mark's cathedral in Venice, although the originals have been replaced with replicas and are now stored within the basilica. Following the fall of Constantinople, the former Roman Empire was partitioned among the Latin crusaders and the Venetians. Venice subsequently carved out a sphere of influence in the Mediterranean known as the Duchy of the Archipelago, and captured Crete. The seizure of Constantinople would ultimately prove as decisive a factor in ending the Byzantine Empire as the loss of the Anatolian themes after Manzikert. Although the Byzantines recovered control of the ravaged city a half century later, the Byzantine Empire was terminally weakened, and existed as a ghost of its old self until Sultan Mehmet The Conqueror took the city in 1453. Situated on the Adriatic Sea, Venice always traded extensively with the Byzantine Empire and the Muslim world. By the late 13th century, Venice was the most prosperous city in all of Europe. At the peak of its power and wealth, it had 36,000 sailors operating 3,300 ships, dominating Mediterranean commerce. During this time, Venice's leading families vied with each other to build the grandest palaces and support the work of the greatest and most talented artists. The city was governed by the Great Council, which was made up of members of the noble families of Venice. The Great Council appointed all public officials and elected a Senate of 200 to 300 individuals. Since this group was too large for efficient administration, a Council of Ten (also called the Ducal Council or the Signoria), controlled much of the administration of the city. One member of the great council was elected "Doge", or duke, the ceremonial head of the city, who normally held the title until his death. The Venetian governmental structure was similar in some ways to the republican system of ancient Rome, with an elected chief executive (the Doge), a senate-like assembly of nobles, and a mass of citizens with limited political power, who originally had the power to grant or withhold their approval of each newly elected Doge. Church and various private properties were tied to military service, although there was no knight tenure within the city itself. The Cavalieri di San Marco was the only order of chivalry ever instituted in Venice, and no citizen could accept or join a foreign order without the government's consent. Venice remained a republic throughout its independent period, and politics and the military were kept separate, except when on occasion the Doge personally headed the military. War was regarded as a continuation of commerce by other means (hence, the city's early production of large numbers of mercenaries for service elsewhere, and later its reliance on foreign mercenaries when the ruling class was preoccupied with commerce). Although the people of Venice generally remained orthodox Roman Catholics, the state of Venice was notable for its freedom from religious fanaticism and it enacted not a single execution for religious heresy during the Counter-Reformation. This apparent lack of zeal contributed to Venice's frequent conflicts with the Papacy. In this context, the writings of the Anglican Divine, William Bedell, are particularly illuminating. Venice was threatened with the interdict on a number of occasions and twice suffered its imposition. The second, most famous, occasion was in 1606, by order of Pope Paul V.
The newly invented German printing press spread rapidly throughout Europe in the 15th century, and Venice was quick to adopt it. By 1482, Venice was the printing capital of the world, and the leading printer was Aldus Manutius, who invented the concept of paperback books that could be carried in a saddlebag. His Aldine Editions included translations of nearly all the known Greek manuscripts of the era. Venice's long decline started in the 15th century, when it first made an unsuccessful attempt to hold Thessalonica against the Ottomans (1423–1430). It also sent ships to help defend Constantinople against the besieging Turks (1453). After Constantinople fell to Sultan Mehmet II, he declared war on Venice. The war lasted thirty years and cost Venice much of its eastern Mediterranean possessions. Next, Christopher Columbus discovered the New World. Then Portugal found a sea route to India, destroying Venice's land route monopoly. France, England and the Dutch Republic followed them. Venice's oared galleys were at a disadvantage when it came to traversing the great oceans, and therefore Venice was left behind in the race for colonies. The Black Death devastated Venice in 1348 and once again between 1575 and 1577. In three years, the plague killed some 50,000 people. In 1630, the plague killed a third of Venice's 150,000 citizens. Venice began to lose its position as a center of international trade during the later part of the Renaissance as Portugal became Europe's principal intermediary in the trade with the East, striking at the very foundation of Venice's great wealth; while France and Spain fought for hegemony over Italy in the Italian Wars, marginalising its political influence. However, the Venetian empire was a major exporter of agricultural products and, until the mid-18th century, a significant manufacturing center. The Republic lost independence when Napoleon Bonaparte conquered Venice on 12 May 1797 during the First Coalition. The French conqueror brought to an end the most fascinating century of its history: during the 18th century, Venice became perhaps the most elegant and refined city in Europe, greatly influencing art, architecture and literature. Napoleon was seen as something of a liberator by the city's Jewish population, although it can be argued they had lived with fewer restrictions in Venice. He removed the gates of the Ghetto and ended the restrictions on when and where Jews could live and travel in the city. Venice became Austrian territory when Napoleon signed the Treaty of Campo Formio on 12 October 1797. The Austrians took control of the city on 18 January 1798. It was taken from Austria by the Treaty of Pressburg in 1805 and became part of Napoleon's Kingdom of Italy, but was returned to Austria following Napoleon's defeat in 1814, when it became part of the Austrian-held Kingdom of Lombardy-Venetia. In 1848–1849, a revolt briefly reestablished the Venetian Republic under Daniele Manin. In 1866, following the Third Italian War of Independence, Venice, along with the rest of the Veneto, became part of the newly created Kingdom of Italy. During the Second World War, the historic city was largely free from attack, the only aggressive effort of note being Operation Bowler, a successful Royal Air Force precision strike on the German naval operations there in March 1945. The targets were destroyed with virtually no architectural damage done to the city itself. However the industrial areas in Mestre and Marghera and the railway lines to Padua, Trieste and Trento were repeatedly bombed. On 29 April 1945, New Zealand troops under Freyberg of the Eighth army reached Venice and relieved the city and the mainland, which were already in partisan hands. Most of these piles were made from trunks of alder trees, a wood noted for its water resistance.The alder came from the westernmost part of today's Slovenia (resulting in the barren land of the Kras region), in two regions of Croatia, Lika and Gorski kotar (resulting in the barren slopes of Velebit) and south of Montenegro. 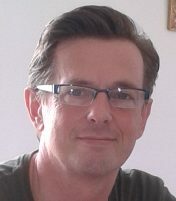 Leonid Grigoriev has stated that Russian larch was imported to build some of Venice's foundations.Larch is also used in the production of Venice turpentine. During the 20th century, when many artesian wells were sunk into the periphery of the lagoon to draw water for local industry, Venice began to subside. It was realised that extraction of water from the aquifer was the cause. The sinking has slowed markedly since artesian wells were banned in the 1960s. However, the city is still threatened by more frequent low-level floods (called Acqua alta, "high water") that creep to a height of several centimetres over its quays, regularly following certain tides. In many old houses, the former staircases used to unload goods are now flooded, rendering the former ground floor uninhabitable. Some recent studies have suggested that the city is no longer sinking, but this is not yet certain; therefore, a state of alert has not been revoked. 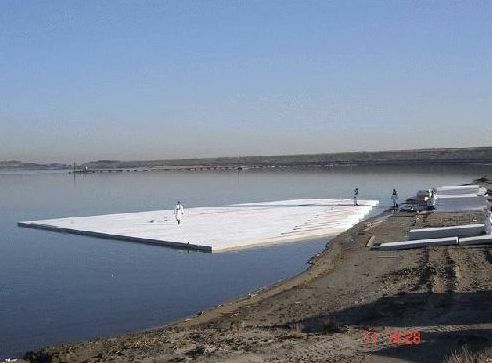 In May 2003, the Italian Prime Minister Silvio Berlusconi inaugurated the MOSE project (Modulo Sperimentale Elettromeccanico), an experimental model for evaluating the performance of hollow floatable gates; the idea is to fix a series of 78 hollow pontoons to the sea bed across the three entrances to the lagoon. 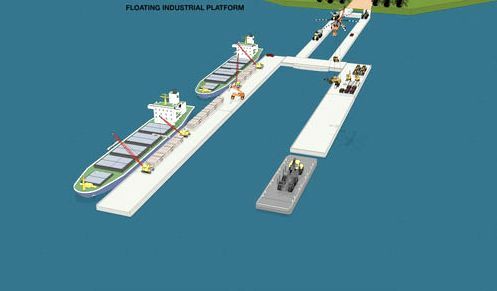 When tides are predicted to rise above 110 centimetres, the pontoons will be filled with air, causing them to float and block the incoming water from the Adriatic Sea. This engineering work is due to be completed by 2014. And Cartago was founded by a Seafaring folk called Phoenizians ( Phoenicia ) whose origins lay in the dark dawn of history and are mentioned by Egyptian Cronicles, as a "ocean based culture equally sophisticated as Eqypt" destroyed by a Volcan eruption, (Thera) and today refered as Minoic Culture and probably origin of the legend of Atlantis. If Santorini would not have been destroyed by a Volcano, Carthage, would have won the Punic War, and Venice been spared from the black death, history would be VERY different, and much more OCEANIC we would all talk different languages, be rooted in a much more seafaring culture, much less land based, build much less roads what is a Roman invention, floating cities and dynamic geography would be implemented by now we probably would consider land merley as a opportuity to put a port for our trade fleets . And before that there was Dilmun a seafaring folk from the persian golf doing oceanic trade with the hindus valley in India 5000 ac....mentioned in sumerian texts. Certainly "going aquatic" and "interference free" is as old as mankind and everybody who considers it a "non feasible science fiction pipe dream" has definitly a need to read up some historic facts. One of the topics that I’ve not come across at the forums is that of Venice (Italy), which is a city not too far as a concept from a floating one, and I think there are many lessons seasteaders can learn from Venice. For one, Venice provides many examples of how logistics for everyday living can function in a seastead. In Venice, for example, the sanitary sewage is pumped from the storage within each building to sewage barges, then shipped to locations within the mainland.Fresh food is brought from the mainland to the many outdoor markets as well as grocery stores on a daily basis, and people tour the different parts of the city on public water buses, private boats, or simply by walking if there is a non-water route available. The way in which the Venice lagoon is naturally constructed to lessen the seawaves and windy conditions, may also provide a blueprint for constructing buildings and wave-dampening constructs on the open sea. Patri (Friedman) mentions in his speeches the seasteading communities as sort of a scientific method, to find out which ways of organizing a community perhaps work. But looking back at how Venice prospered during its independency, may also help in shortening the learning curve to running some of the successful seasteads for potential entrepreneurs. As an example of those historical lessons, Venice provided a natural, easily defendable fortress in the sea, keeping the area out of the way of looters and providing a place of refuge for free-thinkers and gifted people who needed an un-judging environment. Those are just first few examples that I could think of as lessons from Venice, I’m currently planning a trip to (once more) experience the city early next year. Floating construction was not feasible when VENICE was built - but it is now. 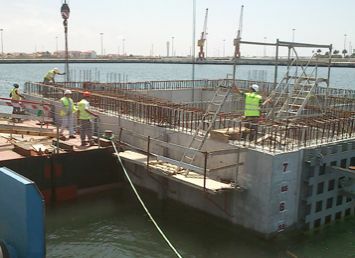 Heavy concrete foundations like used in oil rigs are suitable as a floating base structure even for a Skyscraper . As it is not feasible to build a "floating city" at once (nobody can finance that) you need to give special attention to start the venture in an area where you can keep a "momentum of development and transition" as long as the floating structure is small it will probably work as platform for day tourism, scuba diving, water sports, boats, with marina function, later with buildings on it it will get restaurant and hotel accomodation functions , finally become a "destination of its own (model cruiseship) and then grow to a full sized floating city with banks, shops, and business of all kind. The four picture series below describes this TRANSITION from a few squaremeter floating honeycomb platform to a floating city VENICE style...the emerging core technology is floating concrete honeycomb and shell structure building. Today basicly all shoreside port cities are running out of "development space" the answer where to develop is in the "blue space in front". A port city like Cartagena de Indias has much more development space on the water than the space the city occupies on land. The anchor bay is free of Hurricanes so floating structures can be built for moderate wave ambients at low cost. Undercutting land based real estate prices clearly. Global investors business opportunity map…CIVETS nations “fast growing emerging economies” around the globe. Global investors business headquarters, to attend business everywhere it comes up. Yachts have gone beyond “luxury pleasure boating” those people live permanently on the ocean, travel worldwide, subdue to no government, offshore their assets, in short – run global empires living on their seasteads – and there is not much what “land nations” with their “politicians” their “flags”, their “borders”, their “rulings” and “sovereignty” can do about it – not happening ten years from now – happening already. Seasteading does not need to be “kicked off” it only needs to be “made available for less exclusive society segments on a broader scale”. This mean that the equivalent of 780.000 Empire state buildings needs to be built at sea. 26.000 Empire State Building per year…every year…in the next 30 years. Why do investors invest bilions in "sandbank building" and cero in Seasteading - are we doing a "lousy job" on explaining the benefits ? Marine empires built on the base of wooden ship hulls.